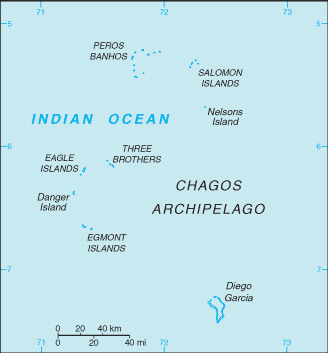 Established as a territory of the UK in 1965, a number of the British Indian Ocean Territory (BIOT) islands were transferred to the Seychelles when it attained independence in 1976, leaving only the six main island groups comprising the Chagos Archipelago of 2,300 islands. The largest and most southerly of the islands, Diego Garcia, contains a joint UK-US naval support facility. All of the remaining islands are uninhabited. Approximately 3,000 indigenous residents in the islands (often referred to as Chagossians or Ilois) were expelled, primarily to Mauritius but also to the Seychelles, between 1967 and 1973. 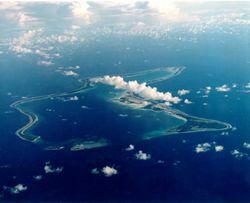 In 2000, a British High Court ruling invalidated the local immigration order which had excluded them from the archipelago, but upheld the special military status of Diego Garcia. No timetable has been set for the Ilois return, but when they do they plan to re-establish copra production and fishing. There is a military airport on Diego Garcia. There are a couple of shops on Diego Garcia. The prices of most things here is low. There are only a couple of restaurants in Diego Garcia. The main source of food is fish. There are no bars on Diego Garcia, but you have to get your water from wells. Crimes such as theft and pickpocketing are extremely extremely rare. Do not worry about crime. It is very safe! It is recommended to pack malaria medication and bug spray. Also do not forget sunscreen! This page was last edited on 8 September 2018, at 08:24.